The above oil on panel is the work of the 16th century Spanish court painter Juan Pantoja de la Cruz. 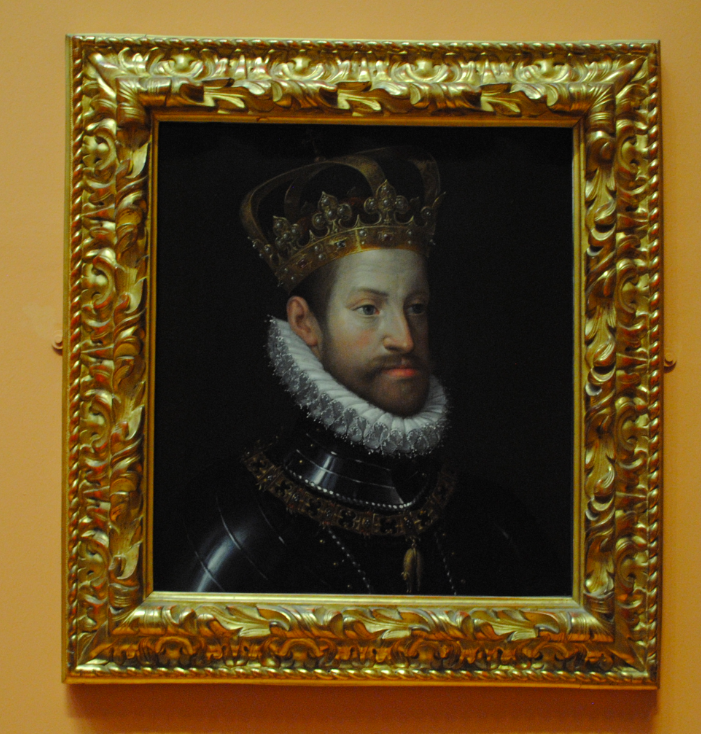 The painting is believed to be one of a series of portraits commissioned by Philip III to replace those lost in the fire that destroyed the gallery of portraits in the Palace of El Pardo in 1604. 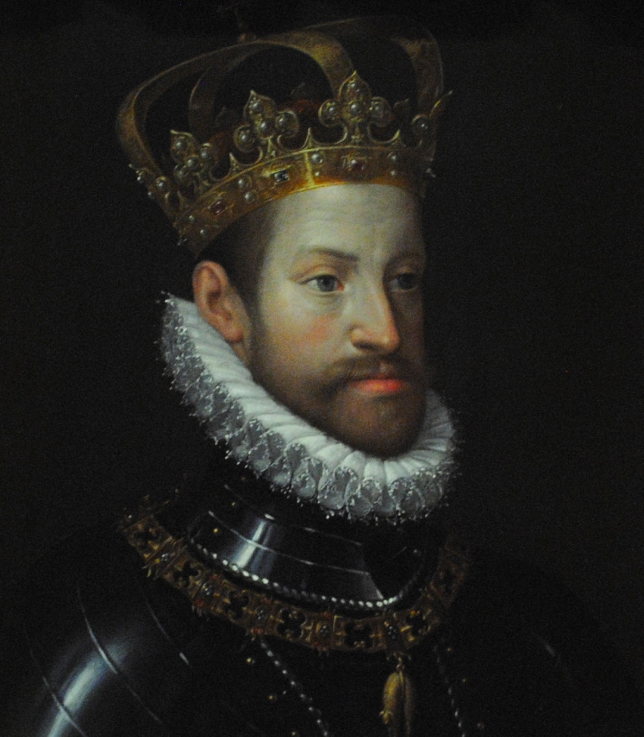 Cruz copied existing portraits of the King’s ancestors and relatives and the sitter in this painting has been identified as either Rudolph II or Charles I of Spain.